During Birdy’s latest check-up our German paediatrician suggested introducing solids once she turns 4 months old and provided us with a very detailed chart on how this should be done. From the 10th month: gradual introduction of family meals. A few days later I was discussing this with a good friend from Macedonia who had also received a detailed set of instructions on introducing solids. But – surprise, surprise – they were quite different from mine. First foods? Fruit! We’re talking raw apricots, peaches, apples, and bananas here: something that isn’t even included in the German guidelines that foresee fruit only from the 7th month and cooked fruit at that. A little puzzled I decided to seek for a third opinion and opened the American baby-care bestseller “What to Expect in the First Year“. Guess what first food they advocate? Rice cereal! We are all of the same species independent on where in the world we live, surely the digestive systems of our little humans cannot be that different from one country to another? I continued this little study on introducing solids by asking my fellow bloggers at Multicultural Kid Blogs about first baby foods in their countries, scroll down for their replies! 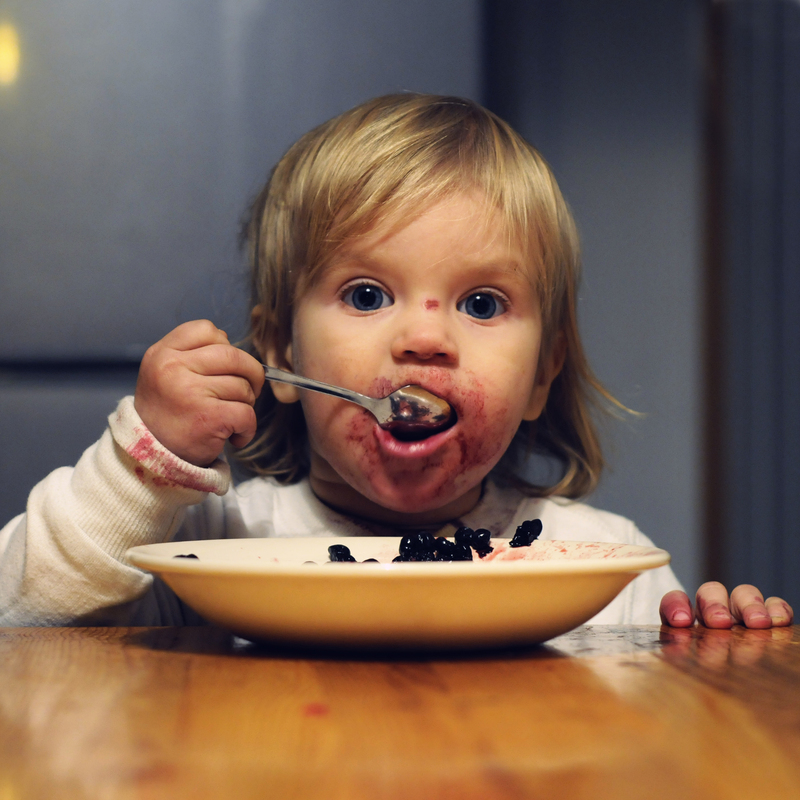 Comparing countries and cultures, it appears that the recommended age for introducing solids is typically between four and six months of age, and most start with either pureed veggies, rice cereal, or smashed fruit. But the accounts below also tell the tale of parents often not listening to their paediatricians and going by their own gut feeling and the baby’s preferences, especially with their second or third baby. Perhaps most importantly, the stories of these moms across the world show that, no matter what you choose to give to the baby as the first solid food, the little one will be just fine. I must admit that it is quite calming to know that there is no one correct answer to the first solids question. Becky: In the UK we were advised from 6 months though we started slightly earlier (it totally depends on the baby) and some people I know started from 4 months. We were recommended baby rice but I stuck to fruit and veg from day one, sometimes mixed with baby rice. Both my boys used to love banana and avocado (together) and anything with sweet potato! Babies are quick to tell you what they like and don’t like! Frogette, OxFrogNews: In England they encourage to introduce solids around 6 months. They talk a lot about “baby led weaning” – no spoon but some pieces of vegetables (boiled before and than wait until they can eat them) the children learn to pick up and to put in their mouth. Umm: Here in the UK we get recommendations to start from about 6 months with baby rice, with my older children (now 11 and 9) the advice was 4 months. However my mum, mum-in-law an grandmother had other ideas and would mash mango and banana with their fingers and feed it to the little ones from about 4 months. Once they were closer to a year they would have our food – broken up chapatti or rice with lentils, chicken or potatoes which we would wash so there wasn’t any salt or chilli on it. The health advisor seemed to think our food (Punjabi) was good for infants. Stephanie, InCultureParent: I had my older daughter in Germany where I was taught carrot followed by parsnip should be the first meal. All veggies. And not to mix them. One at a time at first. I had a Japanese mom in my baby class and learned it’s common to feed white fish before age 1 to infants whereas in the US, fish is considered a no no until after age 1. Olga, The European Mama: In the Netherlands: mashed carrots, pumpkin, then fruit (pears, apples, bananas- babies get that as morning snack at daycare – babies get it mashed, older children- in pieces). Rice, potatoes followed by chicken and beef, and then the rest (the meticulousness of introducing new ingredients depends on the birth order, haha). They insist on introducing bread really early, maybe 6 months (they’re obsessed with bread). In Germany (from what I remember), children after 6 months can have cow’s milk with their “Brei” but not to drink. In Poland, babies get fruit juice really early- apple and carrots are popular choices. With my first I even had a table and checked what she was allowed to eat at how many months. With my third I forgot I had that at all. Varya, Creative World of Varya: In Russia it used to be as early as juice at 3 months – when I was growing up. Nowadays it depends in pediatrician – between 4 and 6. Though some baby products you see are labeled as 0+. Lots of cereals in Russia (rice, oats, buckwheat) plus apple, pear, bananas, carrots, peaches, apricots. Just want to add: with 1st I went with cereals. She kept throwing them up and barely ate anything till 1.5. With 2nd I started with bananas. She loved them. Then we did winter squash, carrots etc. etc. both stated around 6 months, 5.5 they got like tastes, even more like licks. 2nd one (2 years old now) was on table chunky food before 10 months. And she does much better with food -she will at least give it a try. 1st one is a serious picky eater but we are slowly discovering new foods (6 years old almost). Leanna, All Done Monkey: In Costa Rica from what I’ve heard it used to be that they started on modified table foods from very early on – especially black bean broth. Nowadays though, it’s really sad, lots of people rely on Gerber. One young mother very proudly showed me a chart from Gerber that she was following very strictly about which baby food jars to use at what age, starting at 4 months. Diana: In the USA they recommend cereal (rice, barley, oatmeal) but the first food that I gave my son was avocado. He loved it and to this day it is probably his favorite food. Oh and I started solids at six months. I exclusively breast-fed for six months. Becky, Kid World Citizen: In the US: with our older daughter (2004) we were told to begin with rice and then oats, etc, and watch for allergies. Then with our second they said we could start with anything and we started with sweet potatoes and squash, carrots, and then the green veggies. (2007) also around 6 months:). My kids LOVED avocados too as babies and still will eat them with a spoon today! Carol: In the US, it also depends on the pediatrician. Conventional wisdom used to be that we start with rice cereal, but that is slowly evolving, depending on the region. Nutritionists tend to recommend pureed veggies – nothing sweet too early! I started both kids with avocados. We were in California, after all! Carrie, Crafty Moms Share: I don’t think there is a country decision in the US. It depends on who you chose to listen to. I listened to my sister who is OT in a NICU and has a degree in lactation. She says you should not start before 6 months. She also does not agree with the cereal as the first foods though it is what we did. Adriana, Changing Plate: I do remember it wasn’t unheard of pediatricians in the US (back then) recommending adding a little cereal to the formula if the baby was “not greeting enough” in the bottle, I was told solids at 4 months and a veggie was best. My daughter is 9 months and we went with the Latino approach. Avocados, eggs, and homemade bone broth, I don’t tell the docs though… I mentioned I gave her a strawberry and I got a speech! Elisabeth, Spanish Mama: Here in the U.S. it’s recommend to start between 4-6 months with rice cereal and perhaps soft fruits or vegetables. I totally disagree with this and tend to side more with my husband’s hometown in the Peruvian jungle. They start with cooked egg yolks, avocadoes, bananas, etc (just be careful for allergies with all of those! ), and also give broths early on. I started solids there with our 6-month-old and he loved gnawing on chicken feet or bits of meat on a chicken bone. I never bought baby food but I never cooked anything special either! Now it’s your turn, dear readers: what are the first foods for introducing solids where you come from? Living in the UK I was advised to start solids at around 6 months. As a follower of the local AP (Attachment Parenting) group, I tried baby-led weaning, which meant that baby didn’t start with “Brei” but with cooked vegetable sticks and didn’t get fed but was encouraged to feed herself. Food at that age (so the believe) is meant for play and exploration, not mainly for nutrition as she was still breastfed. I think it worked well, she quickly was able to have our meals (only the healthy bits) and she enjoyed it! That sounds great! The more I read about BLW the more I feel like giving it a go. We did BLW and LOVED it. She never had baby cereal! Great article! thank you for mentioning! I just want to add that I followed guidelines from and loved how precise they are on descriptions and latest research on solids introduction. Plus you can get a sample plan and recipes. Thanks for sharing, the website looks super useful! Loved BLW and would highly recommend the book Real Food for Mother and Baby which suggests giving foods that are most similar to breast milk first, starting at 6 months. My daughter with GI issues from birth did really well with goat’s milk yogurt first, then egg yolks, avocados, etc. Her weight gain was a major concern for us so these foods were all wonderful in helping her gain in no time! We also put real butter, coconut oil or olive oil on almost everything she ate… kept her from getting a gtube! No grains? I tend to agree. Loved all you said about everything else, but what about quinoa, millet, etc. Searching the internet for baby’s first meals I got to this and it’s quite interesting to read opinions from moms atound the world. With my first daughter I started giving her steamed and then mashed carrots at 6 months and then every other 3-4th day I added a new vegetable(parsley root, squash, and so on). That is what in Romania most mothers do. Then, when she was 7 months, I introduced steamed mashed fruit (apples, pears) and home made fresh cheese, then meat and egg yolk. I have learned that up to 1 year babies should receive local vegetables and fruit. So if avocado doesn’t grow in the area you are leaving, for example, you should avoid it. Or anything exotic. I plan to follow the same path with my second daughter, as the first one eats everything and a lot, especially green vegetables(peas, broccoli, green beans). I forget to mention that the first one was exclusively breastfed until she was 6 months and I kept on breastfeeding until she was 2 years and 2 months and the second one is also exclusively breastfed, she’s only 3 months old. Thank you so much for this information. It is intriguing to read how solids are started in all countries. I think much of it is based on tradition rather than pure science. It makes sense to me to start all the healthiest pureed foods first. And, in the US, now fish is encouraged before age one year in order hopefully get that little palate used to the taste. Great post, you did a lot of work researching! 9 years ago I got from private pediatrician in Latvia an advice to start with swede mash. Sounded strange but all 3 boys loved and it was very good base for introducing all vegetables, later fruits and baby rice. Swede is nutritious and anti allergic vegetable.